For more information or to schedule an appointment call 310-475-9111 today! 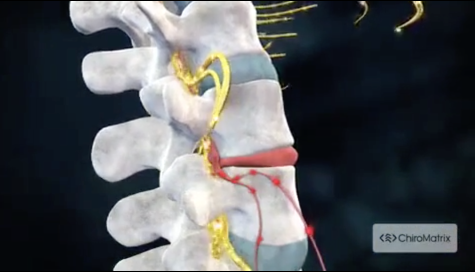 Chiropractic - Beyond Back and Neck Pain! Hello I'm Dr. Scott Tannehill, DC a Doctor of Chiropractic and health educator serving Culver City and the surrounding communities for over 30 years. My patients refer to me as "Dr. Scott." It's hard for me to express how deeply I care about your health and wholeness. I love helping and educating my patients and community based on what, I believe, is a God-given ability our bodies have to be healthy. Our friendly team at Tannehill Chiropractic is dedicated to health solutions targeting your unique needs. Chiropractic is well known in the health and wellness realm for pain relief of patients suffering from back pain, leg pain, neck pain, headaches, or even just plain old muscular tightness and tension. However it is not primarily directed toward relieving pain. The care we provide is directed toward optimal function of the body by relieving potential causal factors to ill health of which pain is a symptom. The primary avenue for addressing the cause of disease is through relieving structural irritants or "subluxations" from affecting the nervous system. Therefore a wide variety of conditions may respond to chiropractic care, such as asthma, sinus and ear infections, high blood pressure, dizziness, numbness, tingling, digestive problems, to name a few. I am not suggesting all of the above listed conditions are spinal related problems, there may be many causes, however chiropractic care has been very successful in alleviating such conditions. Because chiropractic treatment is directed toward optimal function and health, we at Tannehill Chiropractic will do more than treat you, we will educate you in areas of proper postural balance, structural spinal care, nutritional recommendations, and appropriate exercise to maintain a balanced proactive approach to optimal health. To find out more, please email us or call 310-475-9111 to receive personalized answers to your questions from our friendly team. We also welcome referrals, so feel free to use the "Send to a Friend" link located at the bottom of every page to share our health information with your friends and loved ones. If you would like to stay informed about modern chiropractic care or if you want to start receiving free articles about health and wellness, please subscribe to our bi-weekly newsletter, even if you are not a patient. Open our Community Content area and explore our site, taking advantage of animated exercise videos, wellness articles, and other resources.